Are you looking for an interesting and rewarding job with fantastic work life balance in a stunningly beautiful rural location within easy reach of the West Midlands conurbation? We would like to welcome you to join our friendly, supportive, forward thinking team of 21 existing Consultants (17 WTE). 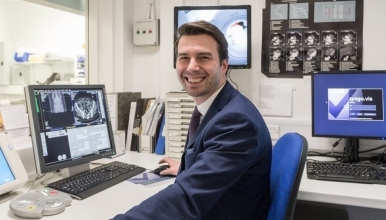 We are looking forward to exciting changes with increased investment with two new CT scanners installed in 2016 and three new MRI scanners in the last 6 months. We are looking for Consultants to join our expanding Department supporting 520,000 people in Shropshire, Telford and Wrekin and Mid-Wales. Any candidate who wishes to be considered for a part-time or flexible working arrangement is also welcome to apply. We are looking forward to exciting changes following the announcement of £310 million pounds to be invested in our two hospitals to improve the provision of care. The successful candidate will have the opportunity to be at the heart of future developments. The Shrewsbury and Telford Hospital NHS Trust provides clinical services to the population of Shropshire and mid-Wales. A New Women’s and Children’s Hospital opened at Telford in September 2014 and there is a dedicated Cancer and Haematology Centre at Shrewsbury. There has been centralization of specialties such as Surgery, Stroke, and Cardiac as well as Interventional Radiology to improve services. Flexible working is provided within a defined overall workload and a general on-call commitment is required. The overnight on call is outsourced to an external provider (from 8.30pm weekdays & 5.30pm weekends & Bank Holidays). Each post is for 10 Programmed Activities per week plus the nonresident on-call commitment (currently 0.25PA).